Roger Persson’s furniture is always beautiful and functional, with a special knack for fitting into all types of environments. The same can be said about the Happy family produced by Swedish manufacturer Swedese. 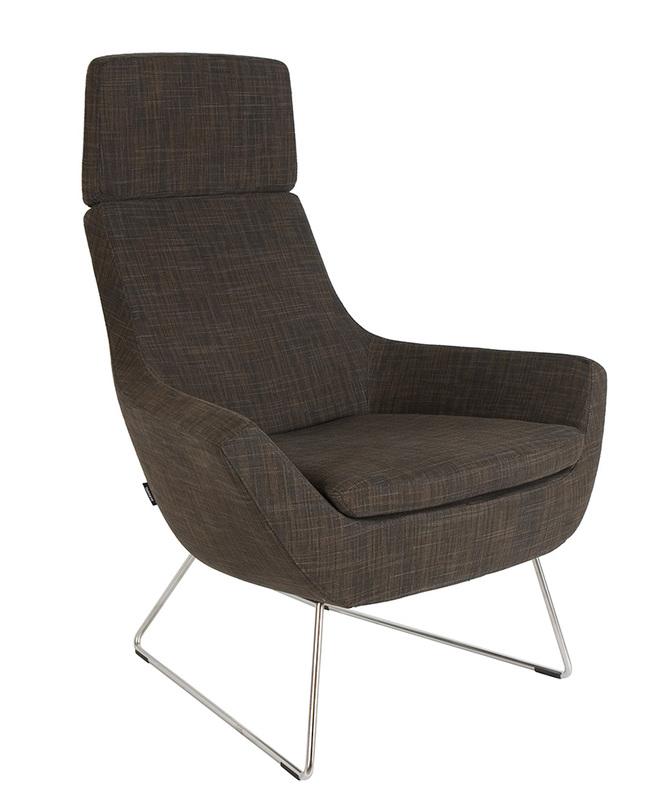 Happy is a family of modern chairs with a look that’s stylish, cosy and comfy… Or should we say happy? It’s actually a rather extended family: The range includes high and low backs, sled, 4-leg or swivel bases, a sofa, upright armchair, stacking chairs and stools! All offer subtly different looks but share the same upturned base shape that can be interpreted for a smile.